Mr. Faries added: “We expect to be operational and hiring front-line staff in the next few weeks. As a proud Bermudian, I am committed to creating jobs for Bermudians whenever possible. “When we cannot find a trained Bermudian, our strategy will be to hire a local graduate with the potential to learn the ropes from our international partners and on-island technical experts. 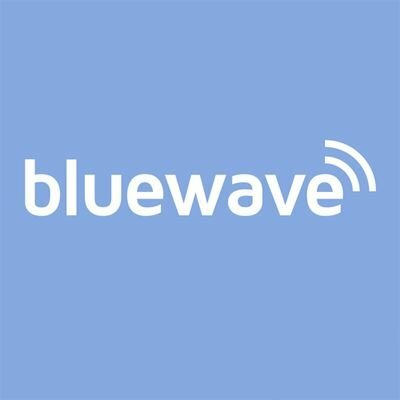 “Bluewave, a Bermudian-owned company, already successfully tested 100Mbps to residential homes during its pilot phase,” the company said. “In the interest of transparency, to offer the best customer experience and ensure 100% system reliability; Bluewave will roll out its service on a neighbourhood-by-neigbourhood basis. “The company’s website will allow potential customers the ability to see when their community can access the service. Once Bluewave Internet is in their neighbourhood, they can sign up online or if they are extremely eager, they can add their name to the waitlist for their area. It is anticipated that 95% of the island will have access to Bluewave Internet by May 2017 or before. “Bluewave Limited’s parent company, East End Telecom, a wholly owned subsidiary of East End Group Ltd. [EEG], is the leading public safety and wireless communication provider in Bermuda. “East End Telecom has been in operation for over 40 years. Its main customers are the Bermuda Police Service, the Bermuda Fire Service, and the Bermuda Government for which it provides mission critical wireless radio communication systems, engineering services, plus maintenance and support. “East End Telecom is the Motorola representative for Bermuda, operating two Motorola radio networks. It also provides commercial radio services on its Hytera DMR digital radio network, real time GPS automated vehicle location services, pagers and microwave and Ultra-High Frequency [UHF] backhaul services for other carriers. All wifi should be free. It is a basic human right like food, water and free healthcare. None of those things are free. None of those things rise to the level of a human right. Like we pay all this money for Cable a month and in US $40-$60 a month for twice as much channels and NO black out Sports Channels. There you go again OJ talking about things you know nothing about. Most if not all cities in the US that have a professional sports team have blackouts. They typically blackout local games when tickets sales are below a certain capacity. there are many other reasons why channels are blacked out. HAHA that’s not the case at all, what BS! When’s the last time a Yankees/Mets or Giants/Jets game, etc has been blacked out in NYC or the NY areas or another sports team in another city? I’ll wait because you’re WRONG….that would be a huge loss of revenue. The ONLY time I’ll agree with OJ on this one. The last time ticket sales were under capacity. I don’t think you understand the concept of a blackout. That’s a myth lol. The only reason is if a local network such as YES, who broadcast Yankees games, etc and you watch it outside NY area then it could be blacked out due to not receiving coverage or a local broadcaster, YES, receiving priority over a national broadcaster, but because ticket sales were under capacity, that’s a BS statement. I don’t think YOU understand the concept of a blackout lol. Actually, I do, and, as previously mentioned, it’s you who doesn’t seem to have a clue. I’ve worked for a large Canadian television network for the past 30 years. I have some insite on how broadcasting works, apparently, you don’t. And I’ve got a friend who’s been working for 50+ years with ESPN and other broadcasters so I’m pretty sure I do. Canada is different than the United States. Keep trying! THERE’S NO SUCH THING AS BLACKING OUT AN EVENT BECAUSE TICKET SALES WERE SUBPAR! It’s primarily done with NFL games, not so much with baseball. why do you use the phrase ‘black out’? Long overdue. Finally we won’t need btc or cable vision as the local loop! Interested to see the price points, but more competition is a good thing for us consumers. Was getting a bit worried with all the other providers merging into only 2 entities. I understand whay we pay the higher rates that we do. It just drives me mad when I am paying such a high rate for 15Mbps and only get 8-10 during peak hours. ISPs shouldn’t be allowed to charge for internet speeds above what they can offer as a minimum during peak hours. If you can’t (or won’t) give me more than 10Mbps during peak hours , then that should be the rate that you should charge your customers. I’m paying for too much right now for our Internet services, I’ll be looking forward to seeing what Bluewave has that has to offer. Bermuda internet is so behind that it’s embarrassing. I live in Canada and pay $40 a month for speeds of 150Mbps Bermuda charges $240 for 25 mbps. That should be illegal. Also, why would the government allow this One Company to acquire so many other businesses because it takes away all the competition. Stupid! Cost of off island service is what dictates our high prices. How much do you think it costs to have a 1000 mile under ocean cable? A lot. If you do anything that requires as little latency as possible (such as online gaming or skype calls) lag drops and interruptions should be expected with a wireless network. Just make sure you research what your buying. Don’t let the price be the only deciding factor as I’m sure it will be slightly less than the ISPs we have at the moment. Totally not true. WISP devices are not your typical Wifi you have at home, these are PTMP connectors and you can expect latency of around 1ms for a multi KM loop. source: Have my own. They also don’t drop like a wifi at home would either… they are fixed position. Source: Never dropped a single connection during hurricane. 1ms? Are you serious? I don’t even get 1ms to logic using a wired connection… And yes there is potential for drops. Its a wireless network with uncontrollable factors. I’m simply saying I would not recommend getting it for something that you need a reliable and stable low latency connection. Sure, there is potential for low latency but my point is that its not always guaranteed. The problem is that you need the same infrastructure for 30,000 people as you do for a town with a million people. It is always going to be more expensive sitting on a rock in the Atlantic Ocean. You cannot compare small town Bermuda to a small town on the North American continent. I have been using wifi from Digicel. I have two plans. One for 10 GB and one for 5 GB. Need two plans because when you have used up the allowed you cannot get ANYTHING until the first day of the next month. No roll over. You want a laugh… that service costs $210 a month. It is a completely rip off! If Blue comes even a dollar less than Digicel, I will change to Blue! Just so you know, what you are getting Digicel is mobile internet service with download limits. 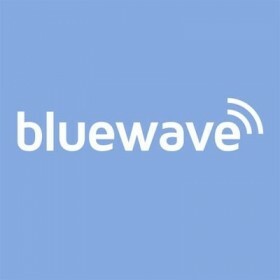 BlueWave is not a mobile service, but rather is delivered wirelessly to your home. Two very different animals. You will always get far better value with any home service in terms of internet. One Communications and other monopolies need to start looking at their price structures and giving better customer service. There’s a new sheriff in town! Excited to see this service introduced. All the best to Nick and the staff at Bluewave. so now we know why the others have been so busy trying to upgrade their networks…in response to competition, not to give better service. good luck with this new service, im def looking fwd to trying it out. if it is successful I pray he doesnt sell out to these monopolies. Much welcomed. Hopefully it is a much improved technology to what Northrock was offering. That was truly cabbage. I totally agree! We need modern prices, or at the least, close to that. Good competition is needed. Hoping there are no required contracts (if the service isn’t up to scratch I should be able to switch back without being penalized). Hoping they don’t have usage caps like North Rock used to. Hoping the latency isn’t an issue. Hoping there are no drop outs during bad weather. Hoping their infrastructure can fully support their customers paid subscriptions without bottleneck. Hoping their pricing is realistic & not positioned a hair lower than present offerings (the pricing on for internet here is unreal). All that said, I’ll give them a try & even some leeway to work out any teething issues they may encounter during initial start up if the pricing is fair.